Lizzie’s Lice Pickers is a professional lice removal service. We specialize in the identification and removal of head lice on children and adults usingnon-toxic, natural, multi-enzyme-based, and hypoallergenic product.Our goal is to help the community in understanding head lice and to assist in safe, fast removal and prevention. An experienced Lizzie’s Lice technician will check/treat everyone in the household, go over with you what should be done in the home, and answer all your questions.We can treat you at our O.C. 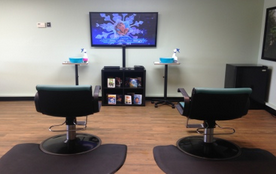 lice removal center, or we can come to you with our in home lice removal services. I started in this business when we found out my daughter had lice in the summer 2013. We went to a hair salon for a special occasion to get my daughter’s hair styled like a princess, only to be informed my daughter had bugs in her hair.After trying pesticide based treatments and failing, we ended up at a professional lice treatment salon.I had them head check me since my head was now itchy, and they also found those awful bugs in my own hair! Realizing I could do this and help out other people in my situation brought me great joy. I started working for that company shortly after finding lice on my daughter and myself at a lice removal company. I have now started my own lice treatment center to help people in that same situation. 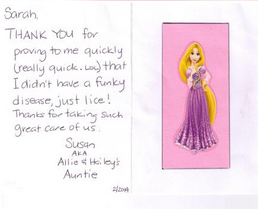 Our Lice technicians have been thoroughly trained on how to identify and properly treat for head lice. We start our process by determining if you have head lice, thankfully not everyone that thinks they have lice do. 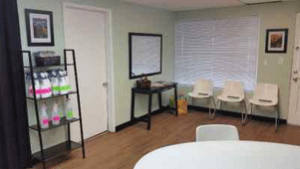 Once determined if you have lice, we explain the options, you can choose to treat with our professional lice removal services, or you can choose to buy the do it yourself kit for at home lice removal. If you have one of our highly trained tech’s treat we begin the tedious process of thoroughly combing out the eggs (nits). After we make sure we have combed and picked the eggs (nit) we then apply the enzyme treatment to kill any reaming live lice and comb once more. Sarah is amazing. Super efficient. Great customer service. Amazing with her scheduling. Would come again. Just for future : NO LICE !!! Sarah at Lizzie's was absolutely awesome! She was professional, informative, and completely understanding of our perdicament! I recommend Lizzie's to anyone and everyone! Remember, those OTC remedies do not work! Sarah treated my family with care. She took the time to explain everything. She was great with my kids and they even sat still for her. 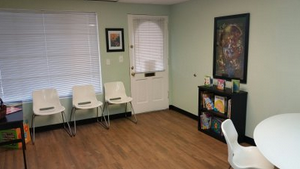 Her place is extremely child friendly, they have movies for them to watch, toys to play with snacks and drinks. I could not get my kids to leave they were having to much fun. They weren't even bothered about having bugs in there hair. Lizzie's Lice Pickers takes the EWWW out of Lice. We had a lice breakout with our son. I made a few calls and Sarah was the first person to answer, unlike the other places where I was sent to voice mail. If I was shopping for a purse or something else I would not of cared, but this is a health issue and I wanted it taken care of ASAP. We went down to the shop within 30 minutes after the phone call. She was the best person ever. She made my son feel comfortable and not embarrassed by the bugs. He watched a movie while she took care of the Lice. She took care of the issue and thankfully it has not come back, but if it does I know who I am going to call LIZZIE'S LICE PICKERS!!! Very nice ladies. Calmed us all down and explained it has NOTHING to do with bad hygiene. Extremely knowledgeable and didn't try to upsell me on products. Love return the return live check included. THE BEST EVER! She really made us feel comfortable. She was very detailed in her treatment and explaning after care treatment. She made sure the treatment was effective before we left. I would definitely use her again and recommend my friends to her. Great job ! I wish I knew the words to express how happy & grateful I am. It’s been a struggle & it’s been a lot of stress on me & thefamily. I truly am thankful for all your help, you really made it acomfortable, easy going experience for myself & the kids. The factthat you generally care for your client is awesome. Thank you so verymuch…. We followed your “at home follow up” instructions and I am happy to report that we are lice free at the moment. I am now more cautious and we check for lice regularly. I was very pleased with the prompt, professional and friendly service we received at your salon. I will definitely keep you in mind if ever we are in need of your services again and I would definitely refer any of the other mom’s to you as well.